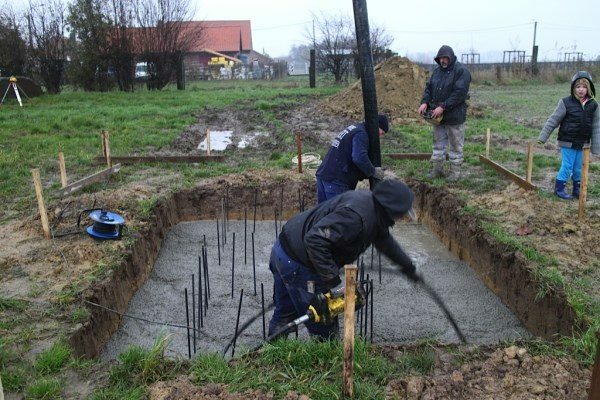 Work is continuing on the new First World War memorial in Langemark, Belgium to remember the Welsh people who served in the First World War. Four Welsh Blue Pennant stones to build the Cromlech were transported to the memorial site on the Pilkem Ridge near Langemark in Flanders after being excavated at the Craig yr Hesg quarry, near Pontypridd in summer 2013. In September 2013 during a visit to Belgium and France, the First Minister announced that the Welsh Government will provide up to £25,000 to underwrite the Welsh Memorial in Flanders appeal. During his visit at the memorial site in Langemark, the First Minister symbolically dug the first sod of earth at the site, along with the Mayor of Langemark, Alain Wyffels. Over winter 2013, the concrete foundations for the Cromlech were laid and work is now ongoing on the creation of a remembrance garden, which will complement the Cromlech. 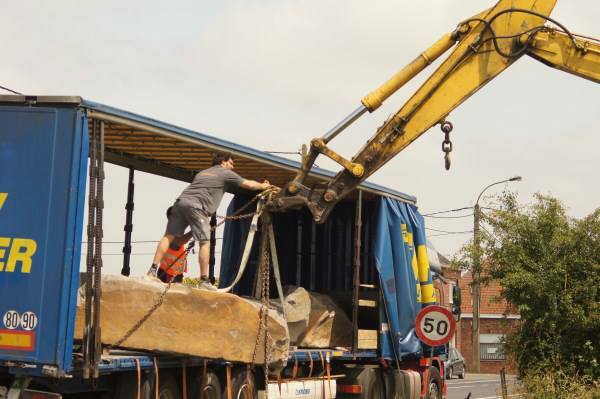 The erection of the Cromlech will take place in spring 2014, in preparation for the mounting of the dragon statue. The final selection of the dragon statue design is drawing near, with the campaign group viewing potential designs produced by Welsh artists at the end of this month (January 2014). Following selection of the design, the statue will be created and finally transported to its final position, to stand guard over the battlefields of the First World War. The campaign group has been busy fundraising, with cycle rides, walks around Wales and concerts, but they still need help to reach their final financial goal. If you wish to donate to the campaign please visit the group’s website. A fitting service of dedication is being planned for the unveiling in August 2014. The full programme for the unveiling will be published in due course. 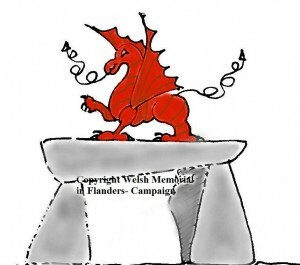 For further information on the Welsh Memorial in Flanders: http://www.welshmemorialflanders.co.uk.